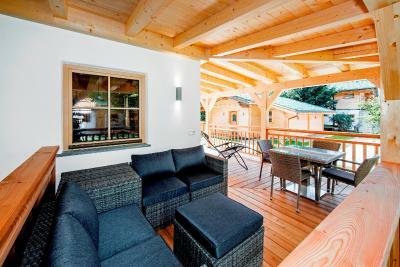 Lock in a great price for Natur & Aktiv Resort Ötztal (Nature Resort) – rated 9.3 by recent guests! It was such an amazing house, perfect for 4 people. The whole resort looked amazing. Breakfast was great. This place is amazing. The setting is stunning, facilities and activities fantastic, staff incredibly friendly and helpful, accommodation spotless. We’ll be back! Breakfast was great. Had dinner one night at the hotel which was good as well. Rooms were a bit out dated but clean. It just like a real paradise :) Scenic location , by the river and with outstanding views. 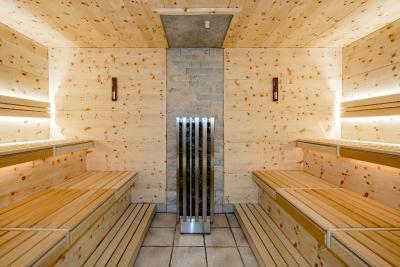 Free Sauna , Bike rent and parking included in the price you pay. Breakfast was Great . Very welcoming and helpful staff, that gives you super precise recommendations and advises where to go and what to see. Overall perfect place to rest with friends, family or whoever Pet Friendly ! The staff was very helpful, the breakfast was great, the room was clean, the place is so relaxing with a lots of activities. I've enjoyed every moment in there. Zalig gevarieerd ontbijtbuffet Prachtig uitzicht op de omgeving en vooral rust! Vriendelijk personeel, niets teveel gevraagd! 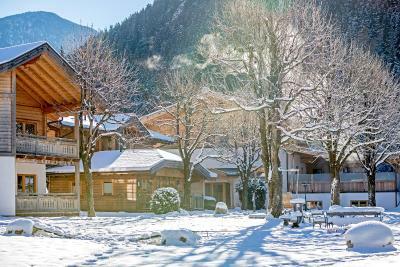 Natur & Aktiv Resort Ötztal (Nature Resort) This rating is a reflection of how the property compares to the industry standard when it comes to price, facilities and services available. It's based on a self-evaluation by the property. Use this rating to help choose your stay! 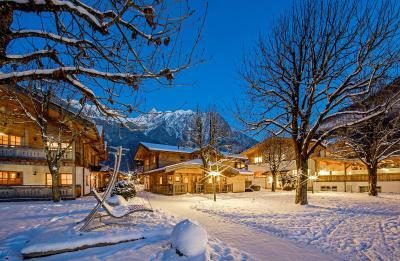 One of our top picks in Oetz.Natur & Aktiv Resort Ötztal is a resort in the style of a small Alpine village overlooking scenic mountains at the entrance of the Ötz Valley, only 1,650 feet from the cable car. It offers free WiFi and free private parking. 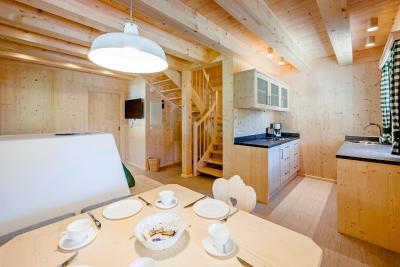 The spacious rooms and apartments are located in 14 different buildings made from natural wood. Natur & Aktiv Resort Ötztal has a courtyard with a restaurant where a large breakfast buffet, an afternoon snack and 4-course evening meals are served. There is also a 1969 ft² spa area offering massages, a sunny terrace, and a village square with a small river, a 984 ft² pond, meadows, and gardens. A sports center with a beach volleyball court, a climbing tower, a mountain bike center, and an archery course is also part of Natur & Aktiv Resort Ötztal. From mid-May to mid-October, Natur & Aktiv Resort Ötztal offers a free weekly program with many activities such as guided hikes and mountain bike tours. Rafting, canyoning, climbing, archery, and paragliding are offered. In July and August, various activities for children are offered free of charge. 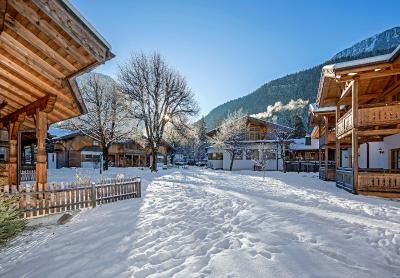 In winter the property has its own ski rental, ski storage facilities and ski school right in the Hochoetz Ski Area. 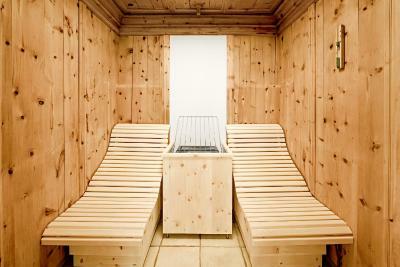 Snow shoe hiking and sauna infusions are offered free of charge. The village center of Oetz is only 800 feet away. This is our guests' favorite part of Oetz, according to independent reviews. 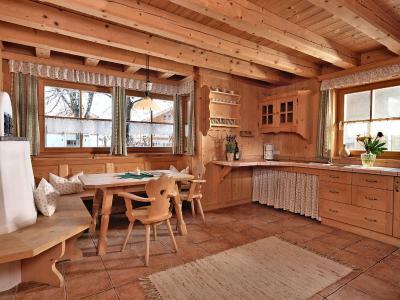 This property also has one of the top-rated locations in Oetz! Guests are happier about it compared to other properties in the area. 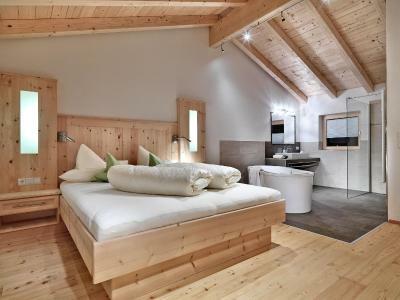 When would you like to stay at Natur & Aktiv Resort Ötztal (Nature Resort)? Alpine-style room with satellite TV and a bathroom. Some have a balcony. Please note that the nature bathing pond is only available during the summer months. Apartment with a bedroom, a spacious living room with a tiled stove and a flat-screen TV, a kitchen, a bathroom, and a furnished terrace. Spacious apartment with 2 bedrooms, a living room with a seating area and satellite TV, a kitchen, and a bathroom. This spacious room has a balcony, bathroom, toilet, refrigerator and kitchen cabinets. A sofa and wood flooring is also featured. Apartment with a bedroom, a living room with a kitchen, a dining area with a tiled stove, and a bathroom. Apartment with a spacious bedroom, a living room with a kitchen, a bathroom, and a large veranda on the ground floor. The upper floor features separate sleeping and living areas, a kitchen, a bathroom, and a furnished loggia. Apartment with a living room, a kitchenette, a bathroom, and a terrace on the ground floor. The upper floor features 2 bedrooms and a balcony. 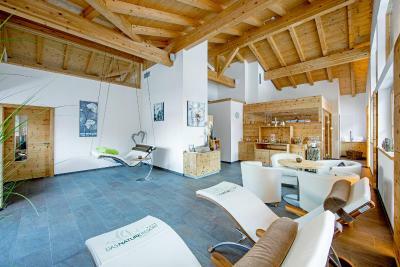 Apartment with 2 bedrooms, a living area with a leather seating area, a large dining area, kitchen, a bathroom, and a large, furnished terrace. Room with a veranda, satellite TV, and a bathroom. Apartment with a living and dining room with a sofa bed, a bedroom, a bathroom, and a large veranda on the ground floor. The gallery features a loft bedroom. Maximum occupancy is 4 guests (see Property Policies). Living room, bedroom, sleeping gallery above the living room, refrigerator, satellite TV, and bathroom. Please note that the bed for the third person is a bunk bed and therefore not ideal for children under 6 years. Spacious room with a four-poster bed, a kitchenette, satellite TV, a bathroom with a bathtub or spa bath, and a large veranda. Room with a large veranda, a four-poster bed, satellite TV, and a bathroom. 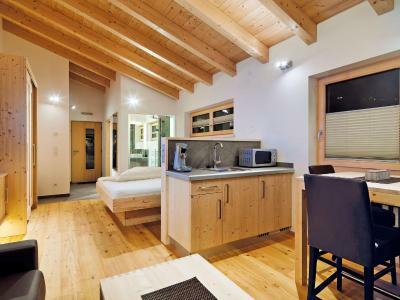 This holiday home features a dishwasher, soundproofing and bathrobe. This apartment features a tile/marble floor, soundproofing and kitchenware. 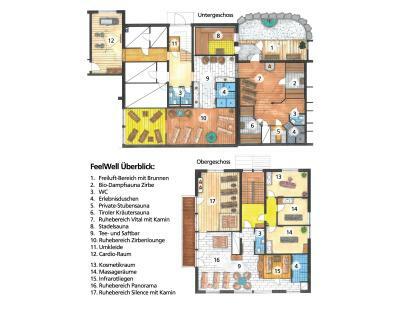 House Rules Natur & Aktiv Resort Ötztal (Nature Resort) takes special requests – add in the next step! Natur &amp; Aktiv Resort Ötztal (Nature Resort) accepts these cards and reserves the right to temporarily hold an amount prior to arrival. Natur & Aktiv Resort Ötztal (Nature Resort) accepts these cards and reserves the right to temporarily hold an amount prior to arrival. the bedroom at the top of the house is not very comfortable, you can only lie in it, you can not even sit down. The kitchen has no microwave and generally very small. The river next to our room was extremely loud. Sleeping with a window open was impossible and no airco is available in the room. After complaining to the reception there was nothing they could do “because we booked the cheapest room and via booking.com”. 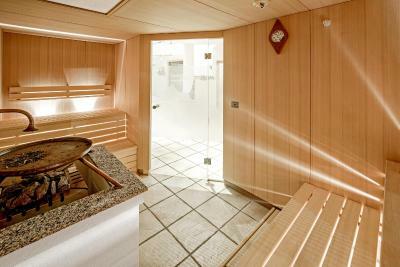 In addition wellness treatment can’t be booked during weekends and opening hours of the spa area are only 17-20h.